To foster a strong, cohesive network of aspiring and nursing leaders from provider settings and educational institutions within the Tampa Bay area. 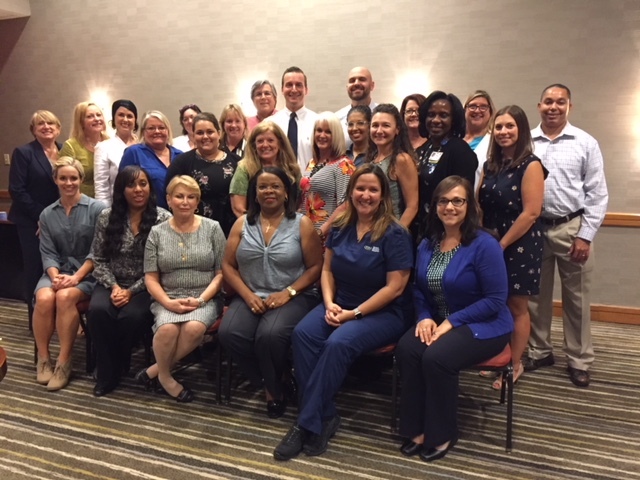 To advance the knowledge and skills of our nurse leaders by providing a forum for networking and the exchange of best practices, and to support our future nurse leaders of the Tampa Bay area. Provide scholarship and research opportunities for aspiring nurse leaders. Partner with nursing colleges and universities to enhance the learning opportunities of student nurses in our region. Partner with nursing colleges and universities to enhance the learning opportunities for student nurses in our region. Provide legislative information to membership and explore opportunities to gather legislative concerns from membership to relay to FONE. Provide educational programs to support leadership development of professional nurses. Develop and maintain collaborations with agencies and professional organizations that advance the agenda of nursing leadership. Pursue and sustain excellence in stewardship for all funds and resources. Align and facilitate TBONE leaders in a supportive role with FONE initiatives. Engage in political initiatives and with local elected officials to promote the future needs of the nursing professionals in our region. The roster of 2019 TBONE Officers is available in the Members Only Document Library. You may use the Contact Us tab to contact TBONE Officers.